In October 2018, DNREC provided public notice of proposed revisions to its stormwater regulations that are intended to cure the defects identified by the Superior Court in Baker v. DNREC, C.A. No. S13C-08-026 (Del. Super. Ct. 2015). DNREC’s 2013 stormwater regulations were intended to improve Delaware's stormwater and sediment plan review process and update the regulations to reflect current best management practices and referenced technical documents to support and explain the regulations. The Baker court struck down the 2013 regulations as invalid because the technical documents, which DNREC claimed were not subject to the state's Administrative Procedures Act (APA), improperly imposed mandatory obligations and standards on the regulated community. 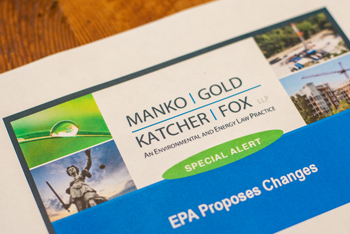 The court held that DNREC could not rely on technical and advisory documents that had not been formally adopted as regulations under the APA when reviewing sediment and stormwater plans and issuing permits. With the October 2018 regulations, DNREC drafted the proposed revisions so that any mandatory requirements are included in the regulations, not the technical documents. DNREC further specified that the technical documents cannot be used for purposes of enforcement or to deny approval of a sediment and stormwater plan, although DNREC expects that the technical documents will still be used in the preparation of plans and for purposes of facilitating compliance with the regulations. Once finalized, the revised regulations will likely take effect this year.